Welcome to the July edition of Happening At The High! Have you seen the new Dream Cars exhibit yet? It is spectacular and perfect for children. You can read our thoughts here. Dream Cars will be on exhibit through September 7th. Later this month we will be visiting the High to check out the newest exhibit called Mi Casa, Your Casa. This exhibit will be on display in the High's Sifly Piazza. The exhibit will feature more than 40 three-dimensional, open-framed houses that will allow visitors to interact, explore and engage. There will be swings, easels, bins of chalk, buckets of bubble water, etc to encourage visitors to enjoy and engage with the art pieces. Wynn Bullock: Revelations - on exhibit through January 2015. Top Drawer: Select Drawings from the High's Collection - on exhibit through January 2015. The Homeschool Day Kick Off has been moved to August 15th since the original date in July conflicted with the SE Homeschool Convention. -Save $4 off admission on Saturday July 5th and Sunday July 6th. Did you know that the High has a great children's gallery? It is called the Greene Family Learning Gallery. 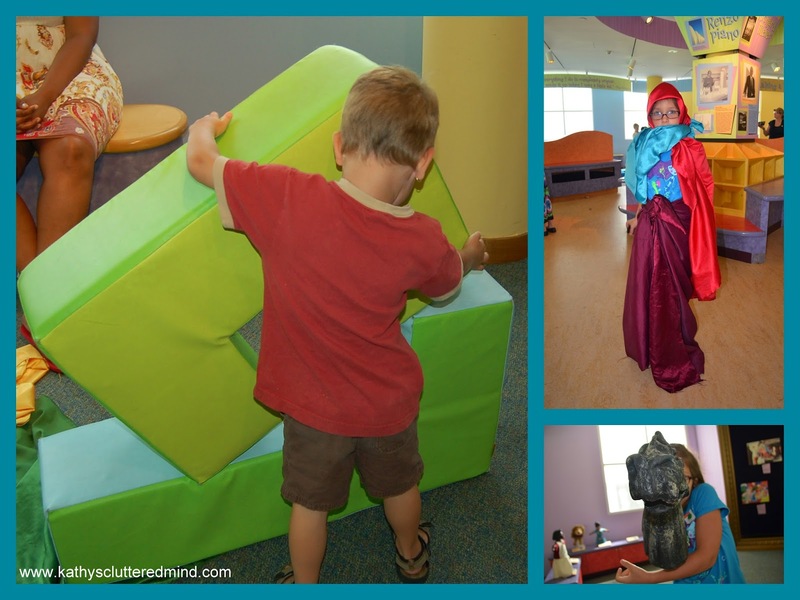 This fabulous gallery features 5 hands-on activity areas: Building Buildings, Transforming Treasure, Making a Mark, Sculpting Spaces and Telling Stories. These areas are inspired by some of the most popular objects in the Museum's collection. You can find the exhibit on the first floor of the Stent Family Wing. My children love the learning gallery and could literally spend hours learning, playing and exploring in it.